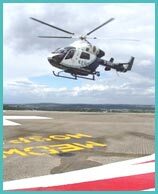 NEW Rescue Equipment "on the run"
Kent International Airports Runway: Single 2,752 metres x 61 metres - recently resurfaced and remarked. This runway is sufficiently long and wide to service B747s and the new A380s. Aprons: New passenger terminal apron capable holding of 4 X B737s. Separate large freight terminal apron and standing areas capable of holding 3 to 4 B747s. Air Traffic Control and Navigation: Instrument Landing System (ILS) Category 1 on both runways (i.e East to West and West to East). Non-directional beacons (NDB) and Distance Measuring Equipment (DME) are also installed. 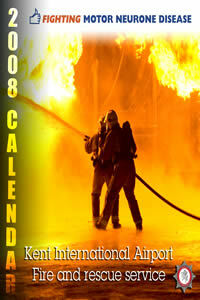 Kent Airport Fire Services: Three fire tenders and crew, ICAO and UK CAA compliant to Category 9 fire cover, consistent with large freight and wide body passenger jet operations. 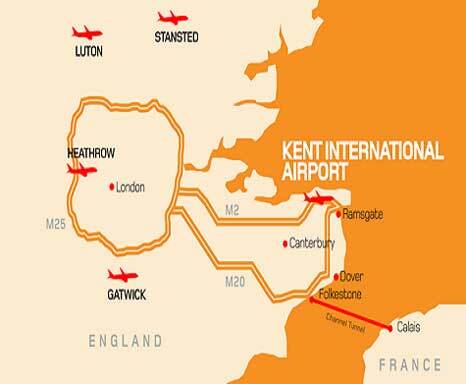 Kent International Airport (KIA) is near Ramsgate in the east of Kent, England. It is approximately 110 km east of London. 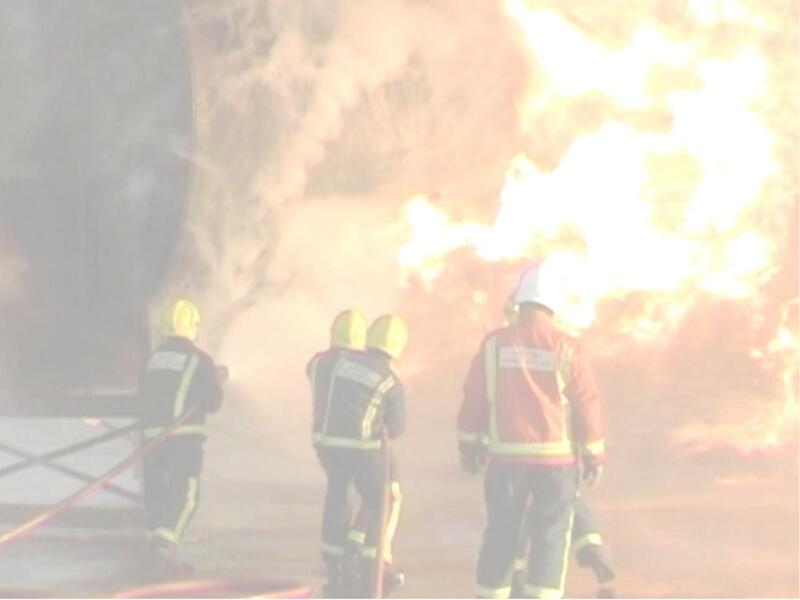 If you have a question about Kent International Airport Fire & Rescue Service or any apsect of Aviation Firefighting, or would like to make comment on this site and it's contents please contact us here. Please note, that we are not recruiting at the moment, any such enquiries will remain unanswered. When a position is available it will be advertised accordingly. The white horse on a red field is reputed to be the symbol of the ancient Saxon kingdom of Kent; they have for long been associated with the modern County. The mural crown commemorates the fact that, for four hundred years, Kent was an independent Saxon kingdom. 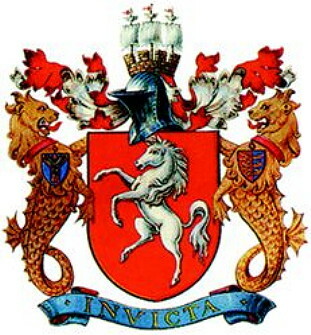 Its form is also symbolic of the many fortified castles and towns in the county and the masts and sails are emblems of its intimate links with the Navy, the Mercantile Marine and Sea Fisheries. Kent International Airport Fire & Rescue Service has adopted the White Horse of Kent and added wings to it's back, thus representing the people of Kent who use the Airport and those who we protect as they fly in the sky's above us. 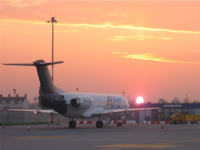 The contents of this website are not endorsed by Kent International Airport, Infratil or any other company associated with the Airport or it's employee's.